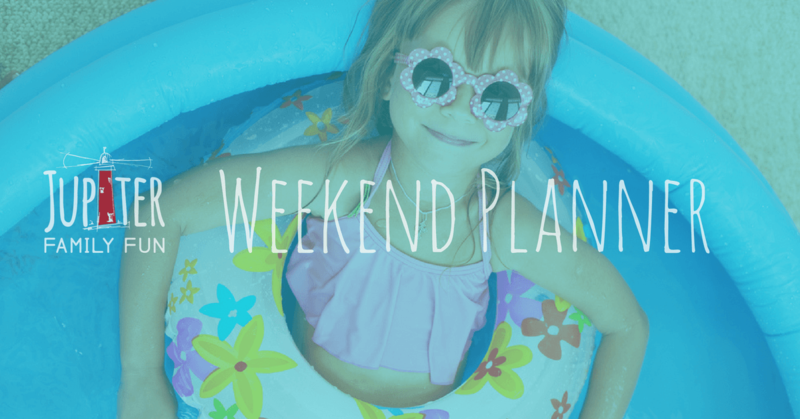 You’ve made it through another work week, why not spend this weekend checking off some awesome items from your summer bucket list. School is just around the corner so you gotta hurry! While we’ve picked our 5 favorites happening this weekend, there are lots more where that came from so be sure to check out our full event calendar. See something we missed? Send us your submissions and we’ll add them in provided the event is family-friendly, open to the public, and located in the North Palm Beach area. Check out our newest post, Norton Museum of Art Offers Family Art Pop-Ups at Grandview. Whether you decide to hang at Harbourside, or Downtown at the Gardens, there is free music to be enjoyed this weekend and what could be better? Daniel Tiger fans need to head on down to the ballpark this Saturday for “Be My Neighbor Day.” There will be family activities before the game and Daniel Tiger himself! This event is free and open to the public but you must have a ticket. Click link above for locations where you can pick them up. Jupiter’s newly revamped bowling/recreation center is ready to celebrate kids with a fest just for them. All kids will enjoy free bowling and shoe rental, free $5 arcade cards plus food and drink specials and discounts for the grown-ups. If you haven’t checked out the new digs, this is a great time to see what all the fuss is about. Celebrate your child’s devotion to reading with this book lover’s hands-on workshop. All workshop attendees must be accompanied by a parent or adult at all times. Participants get to keep their craft, receive a FREE certificate of achievement, a Workshop Apron, and a commemorative pin while supplies last. Ideal for children ages 5-12. The folks at Jonathan Dickinson State Park invite kids of all ages to join them every Saturday from 10:00 a.m. – 11:30 a.m. for activities that encourage kids to discover, explore, and have fun! Topics may include wildlife, insects, freshwater ecology, scavenger hunts, paddling, nature hikes, and more.